Many businesses put customer growth and acquisition as the first thing on their agenda. But studies show that customer retention is equally—if not more—important. Happy customers are more likely to convert to evangelists, and the Harvard Business Review finds that that evangelistic customer loyalty is proven to be one of the main drivers of growth; a Gartner survey indicates that 65% of all new businesses comes from existing customers. That’s why retaining and empowering existing customers is such a pivotal process—it translates to an even higher ROI. Yet, the notion of customer happiness is an intangible metric to gauge, and it can be challenging to quantify. Thankfully, you can glean valuable insight on the emotional state of your customers with the help of surveys—but not just any run-off-the-mill questionnaire will work. 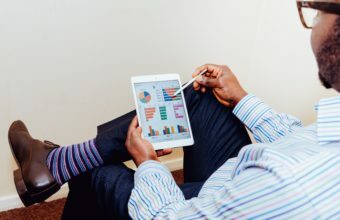 In order to effectively use a survey to determine customer happiness, you’ll need to utilize more than just passive data collection techniques, which are often long, complicated, and a hassle to answer. Net Promoter Score (NPS), a customer loyalty metric developed by Fred Reicheld of Bain and Company, is one alternative to assess customer happiness help drive organic growth. They based the metric on their belief that customer loyalty is correlated to profitable growth and they found that an increase in customer retention of only 5% could increase profits between 25% – 95%. At the heart of it all, companies have to realize that customer loyalty stems from a customer’s willingness to recommend a product to others. According to Accenture, 42% of U.S. consumers are loyal to brands that their family and friends do business with, and 55% of U.S. consumers express loyalty by recommending the brands and companies they love to family friends. Companies can use NPS to reflect on, analyze, and ultimately react to their customers’ needs and wants. Whether you want to redefine your product roadmap or address customer pain points, NPS can help you kickstart actionable tasks at any point of your business journey. Here’s everything you need to know to effectively optimize your NPS. NPS starts with a simple one-question survey that measures customer loyalty and satisfaction. A classic question, for example, is “How likely are you to recommend our products or services to others?” paired with a scoring system of 1-10. These questions are usually sent via email, text message, and in-app popups. But the process doesn’t end once you calculate your score! Feedback from the survey has to be analyzed, and companies need to “close the loop,” a term for increasing your NPS score by converting detractors into promoters. Ideally, companies should follow up with detractors and passives within 24 hours. Why Should You Care About NPS? In the long term, companies can leverage NPS to track customer satisfaction, forecast future growth, and reflect on past business decisions. By combining NPS with big data analytics, you can create models for predicting customer behaviors and patterns. How Do You Define A Good NPS score? If you have a high score, congratulations! If not, don’t fret; a low NPS score may not be a cause for concern. What defines a healthy or unhealthy NPS score is relative to your company’s industry. That’s why it’s doubly important to understand and use benchmark metrics to guide your NPS strategy. For example, you should look at the average NPS score in the particular industry your business is in. If your industry’s average NPS range is 10-40, a score of 30 is pretty solid! According to Fred Reichheld, NPS and the subsequent closing of the loop were Apple’s saving grace. “Comments from customers help store managers prepare for service recovery calls with detractors to close the feedback loop,” he explains. “The outcomes of these calls, together with the customer comments, provide important coaching and feedback messages that are passed along to employees.” The result? A high level of issue resolution in a short amount of time. How Exactly Do You Optimize NPS? When should you ask your customers to answer them? How would you phrase those questions? Figuring out the when is especially crucial. It’s important to intentionally identify and leverage the different touchpoints along your customer journey. You want to send NPS surveys while a brand interaction is still fresh in the customer’s mind. Apple, for example, reached out to their customers after each purchase. It’s also essential to be aware of global time zone differences and to avoid scheduling NPS surveys too often. Otherwise, you run the risk of overwhelming and annoying your customers. A calculated, somewhat conservative method will yield honest—and potentially, better—feedback. But just because the when is most important doesn’t mean you should neglect the what and the how. Sometimes, a personalized follow-up is necessary to seal the deal—or at least, close the feedback loop. This follow-up is a great segway into asking open-ended questions that may have been limited by the simplistic nature of NPS. For example, you can send a personalized email asking, “How can we better improve our service to fit your needs?” to let customers suggest ways that your business can address their pain point. This gesture signals that you genuinely care about your customers’ opinions and experiences. When we adopted NPS here at Workato, we wanted to go beyond evaluating the customer satisfaction of our clients. We also wanted to gather more reviews for our app marketplace listings. To achieve these goals, we collaborated with the customer support (CS) team on two main efforts: gathering reviews from our customers and, operationalizing a long-term customer review collection plan. We knew an NPS survey would be a great opportunity for us to gain a sense of what our customers think about our product. It would also allow us to send segmented communications based on NPS. With NPS, we can identify product champions (a group we can reach out to for reviews) and the detractors (a group that would require a different method of follow up by our CS team). Additionally, our marketing team can identify the segmented users and classify them into key personas. Information gathered from the custom fields can be sliced-and-diced to add additional insight to further enhance and fine-tune our marketing messages. To implement our NPS we use the survey platform SurveyMonkey. We wanted to pre-fill some custom fields like name and email with customer data that was already stored in Intercom and Salesforce so the customer wouldn’t have to enter information we already knew about them. Usually, this process would be tedious; we’d have to manually pull contact information from Salesforce and Intercom into SurveyMonkey. To make it seamless and less labor-intense, we used two Workato recipes to automate this process. Recipes are plain English instructions that get work done between apps on Workato’s intelligent integration and automation platform. This first recipe allows us to automatically add Intercom contacts into SurveyMonkey on a rolling basis without duplicates—saving time and effort in syncing and cleansing contacts from one app to another. It also allowed us to pull additional information from Salesforce when required. The second recipe works in tandem with the first. Once a customer has completed the NPS survey, their contact information will automatically be updated in Intercom—denoting their completion. NPS Surveys only work if you utilize the data they bring in. This requires collaboration across the business, from the Marketing Team to Customer Support and Sales. Intelligently automating your workflows will make this seamless across departments. For example, if a person comes back as a promoter you can not only seamlessly add it to their profile in your CRM, but also automatically tweet to them encouraging evangelism. Conversely, if they come back as a detractor, you can automatically create a support ticket and flag them as urgently needing attention. Closing the loop and automatically acting on these scores means better service for the customer, thus increasing revenue, and it makes it easier for employees across the company to do their job.